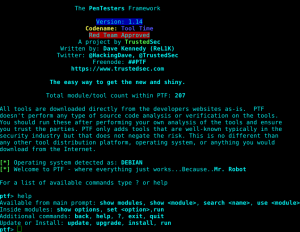 Browse: Home / The Penetration Testers Framework (PTF) v1.14 codename: Tool Time. * added new field for modules called TOOL_DEPEND which allows you to specify other tools that are needed in order to install prereqs. Check README.md for more information. 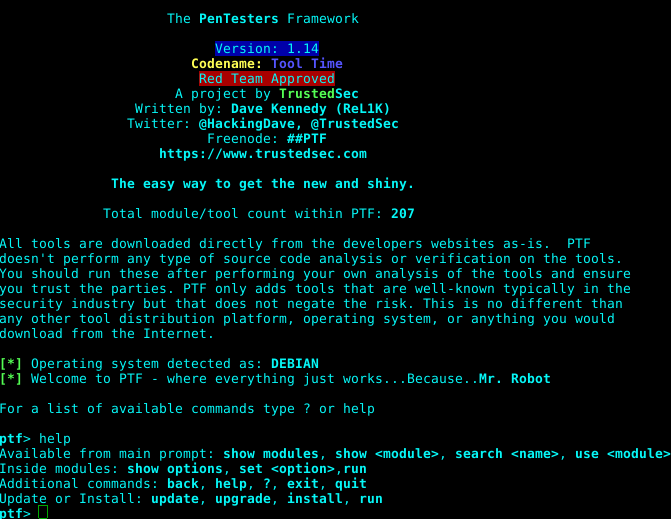 The PenTesters Framework (PTF) is a Python script designed for Debian/Ubuntu/ArchLinux based distributions to create a similar and familiar distribution for Penetration Testing. First check out the config/ptf.config file which contains the base location of where to install everything. 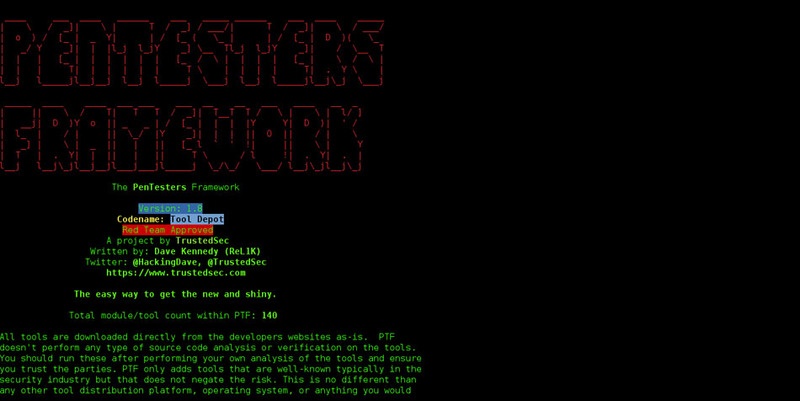 By default this will install in the /pentest directory. 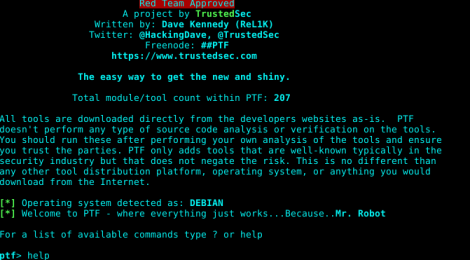 Once you have that configured, move to running PTF by typing ./ptf (or python ptf). This will put you in a Metasploitesque type shell which has a similar look and feel for consistency. Show modules, use , etc. are all accepted commands. First things first, always type help or ? to see a full list of commands. This will install all of the tools inside of PTF. If they are already installed, this will iterate through and update everything for you automatically. ← LARE – Local Auto Root Exploiter.